Nothing stops Apple Music streaming from winning more artists excclusive for Apple Music service! Haven't got Apple Music membership yet? Why wait: With artist exclusive like Drake Graham and Pharell Williams on Apple Music streaming, Adele is also saying hello to Apple Music with Adele 25 album while skipping Spotify recently. It's the place where more artist will live on. To enjoy Apple Music streaming in a easier mode, try on the following tricks for free! Apple Music streaming has an awesome songs and artists library, yet Apple Music quality - simply not as good as Spotify, Pandora and the rest. To enjoy Apple Music service in better quality, 5KPlayer is here to take the 256kbps music to a new stage! Apple Music Streaming: You Can Get It Better! Apple Music service never stops nabbing big names at lunch: From Taylor Swift to Beyonce, this time Apple eyed on Adele 25 Album: Perhaps the best selling record of 2015 can possibly be an Apple Music streaming exclusive! A first-class Apple music library is takeing shape, categorically true. 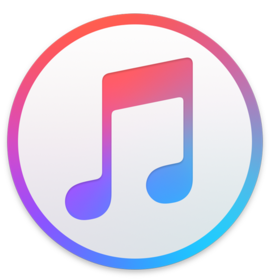 ->> Breaking Apple Music streaming 1-account-3-device limits by featuring music AirPlay from iPhone to Mac El Capitan or Windows PC, enjoy Apple Music service on any device you like. ->> If you use Apple Music Mac/PC, 5KPlayer can render MP3 AAC music, MP4, MOV, MAV UHD music video streaming from PC/Mac to Apple TV. ->> With regard to music videos not yet available on Apple Music player, download them from YouTube on your computer, and transfer music from computer to iPhone, all a mere cinch with 5KPlayer. This is not exaggerating but, Apple Music streaming is really addressing good music royalties: Taylor Swift twitted Apple Music upon its release to dispute about artists not getting paid in Apple Music free trial period, all before Apple Music starts to gain any profit. Yet Apple Music streaming swiftly promised to pay right in time, and it’s the way how Apple treats music that can bring it the best music. * Music recommend based feedbacks. Apple Music Streaming: Better Than Spotify and Pandora? In the review of top 6 music streaming services and Spotify vs. Apple Music, Apple Music streaming with its perfect integrity with iPhone iPad topped NO.1. 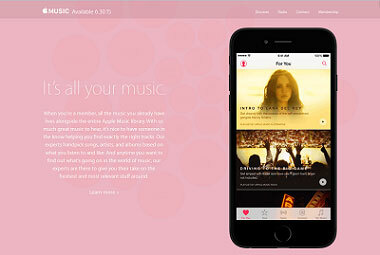 The Apple Music service by virtue of its own platform has the native advantage such as: connecting other Apple APPs, perfect interface embedded with iOS 9 upgrade, the innovative Beats 1 Radio and Apple Connect to interact with artists etc. 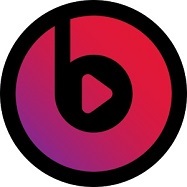 ->> Creating sound radio streaming experience to make Apple Music Beats 1 Radio smart: Now enjoy the human-curatorship and other streaming radio stations like PBS, BBC, iHeart radio and more. 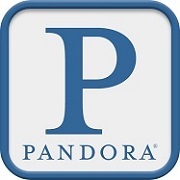 Pandora as the traditional big star in music streaming still sits on a bigger collection of songs than Apple music streaming, yet bigger isn't necessarily better: You can always find what you want in Apple music service, but not in Pandora AirPlay, thanks a lot to its smart curatorship featuring hand-picked Apple Music playlist. Spotify VS Apple Music player can't really reach a clear result in that the former tally massive streaming and subscribers with the same music library: Is ad-block really worth that $9.99/month at all? Apple Music, on the other hand, offers only subscription-based music, and to wholly satisfy the picky listeners, it has to push the Apple Music streaming as a whole. How to Use Apple Music Streaming from iPhone to Mac/PC? Download 5KPlayer for Mac or PC. Instruction on how to use Apple Music streaming specified below and please refer to how to download music from websites for reference. Step 1: Please check to confirm that your iPhone/iPad and Mac El Capitan/Windows 10 PC are connected to the same Wi-Fi before set up Apple Music streaming. Step 2: Choose music from Apple Music library, or your local media library, click to start. * For music not yet available on Apple Music, you may try look for it on YouTube music service. * Get YouTube Music, or Apple Music streaming running on your iPhone/iPad/iPod, hit the AirPlay icon on the bottom right (sometimes the bottom left), to start AirPlay YouTube. * Tap the AirPlay icon and the Apple Music streaming will start immediately. * In the process of streaming, your iPhone is a flexible controller to manage the Mac/PC remotely, and you can start another piece of Apple music streaming at any time. 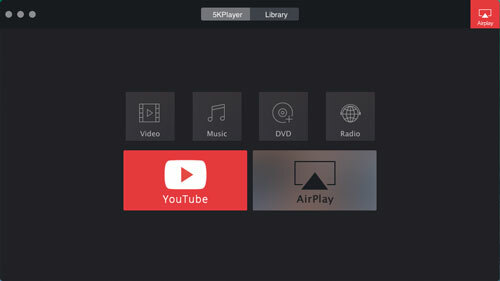 Step 4: Tap the radio button on the main interface of 5KPlayer, online radio streaming is a suitable feature if you are fond of exploring something new on Mac/PC, just like your experience with Beats 1 radio. Note: Get the Internet radio streaming services URL like BBC, click paste and analyze button above the url box, it will start immediately. Taking Beats Musicfunctions with optimizations, and we get Apple Music today. * Windows/Android/iOS integrated and most compatible with Apple device. 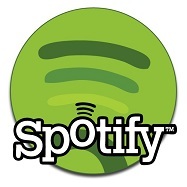 This music streaming service also features hand-picked music genre by musician experts. * Artist exclusive including Taylor Swift transferred to Beats Music streaming service from June, 2015. - $9.99/mo./$119.88/yr/$14.99/mo. for family plan. Free trial available. This Apple Music streaming tool can stream anything you are listening to from iPhone to Mac/PC, or from computer to speakers and Apple TV without quality loss. You can free download HD music videos from streaming services or listen to Internet radio stations with this free tool for Apple Music streaming. Get prepared for 2016 Apple Music Festival and learn how to free stream Apple Music Festival live concert. These top music streaming apps enable you to stream local or online music among all your devices, incl. iPhone, iPad, iPod, etc. AirPlay from YouTube Music APP on iPhone Android to Windows,Mac speakers gives you a new YouTube music adventure.